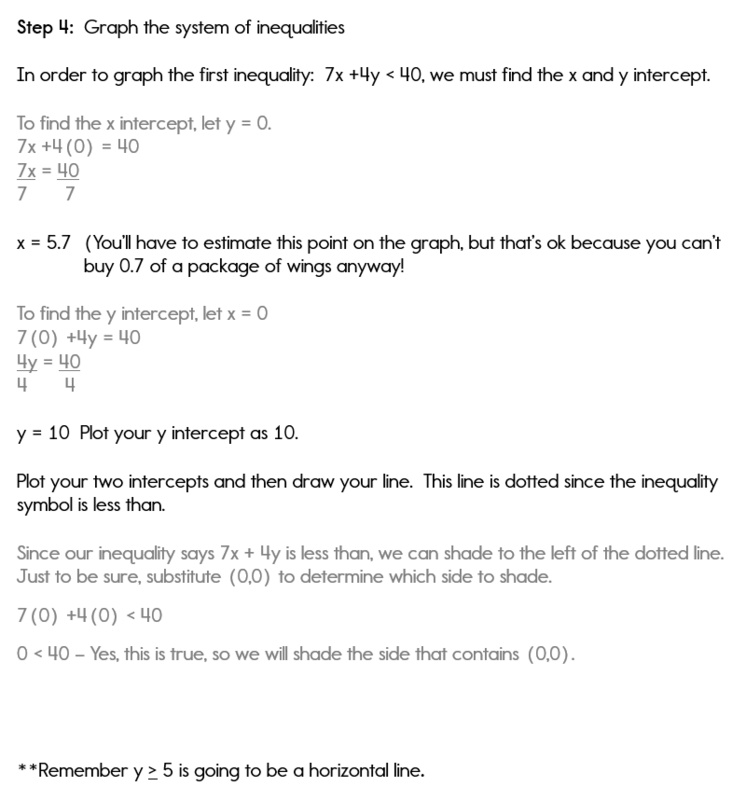 Now that you've studied all of the steps required for solving systems of inequalities word problems, I know you are anxious to practice some on your own. Yes, of course you are. This is the true test of how well you studied this unit on inequalities. Read each problem twice. The second time - use your highlighter to highlight the key words. Focus on the inequality symbol and make sure that it makes sense in relation to the context of the problem. As you create your graph, remember that only the part that is shaded by both inequalities is the solution area. It's always a good idea to check your answers. If the problem asks you to justify your answer, then that means that you must show the work for checking your answer. Ok... let's get down to business. 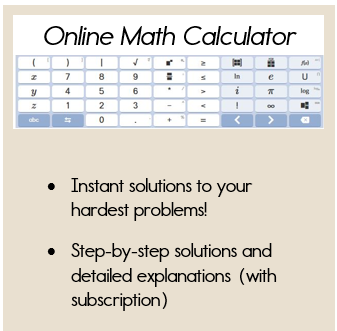 Click here to print out a grid for your Practice Problems. Here are your two problems. Jason is buying wings and hot dogs for a party. One package of wings costs $7. Hot dogs cost $4 per pound. He must spend less than $40. 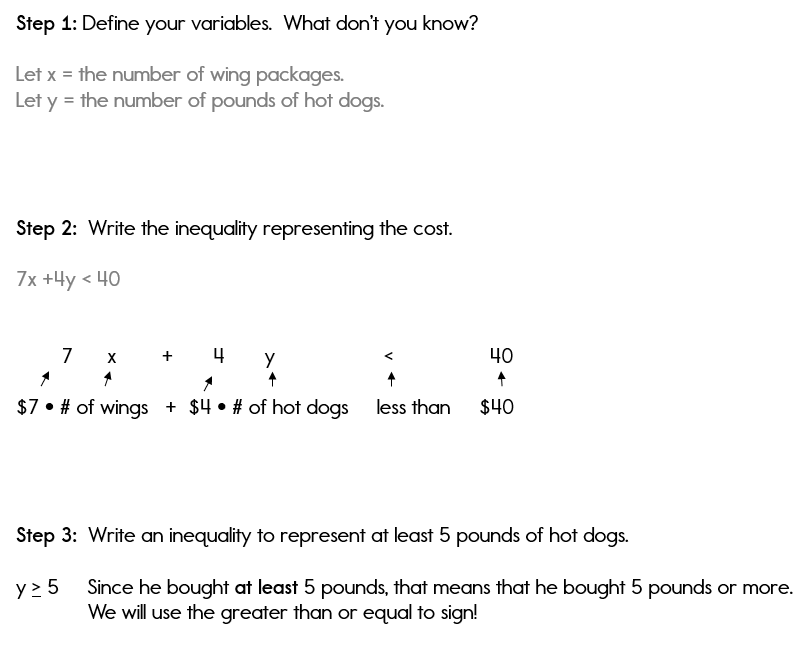 Write an inequality to represent the cost of Jason's food for the party. Jason knows that he will be buying at least 5 pounds of hot dogs. Write an inequality to represent this situation. Graph both inequalities and shade the intersection. 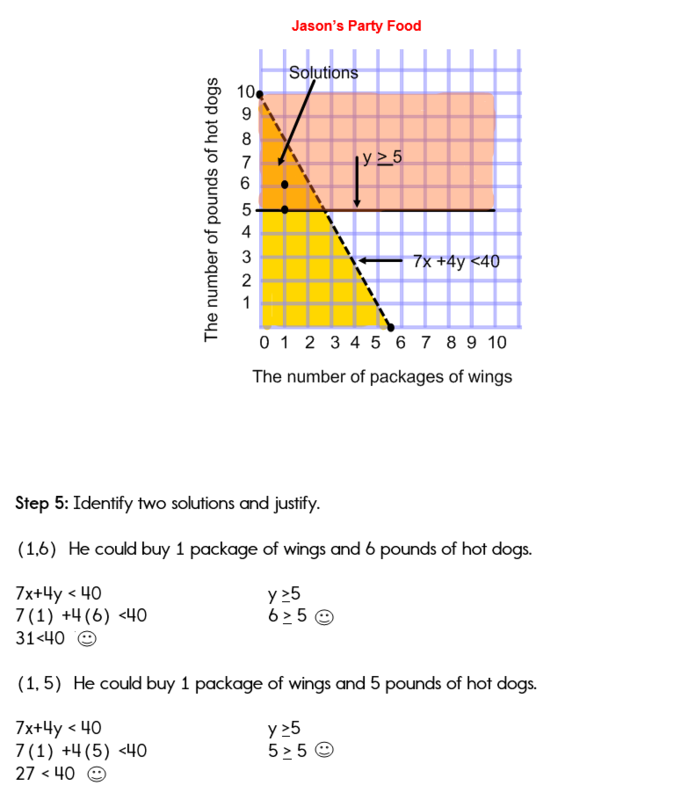 Identify two solutions and justify your answers. The boys and girls soccer clubs are trying to raise money for new uniforms. The boys' soccer club is selling candy bars for $2 a piece and the girls' soccer club is selling candles for $4. They must raise more than $800. 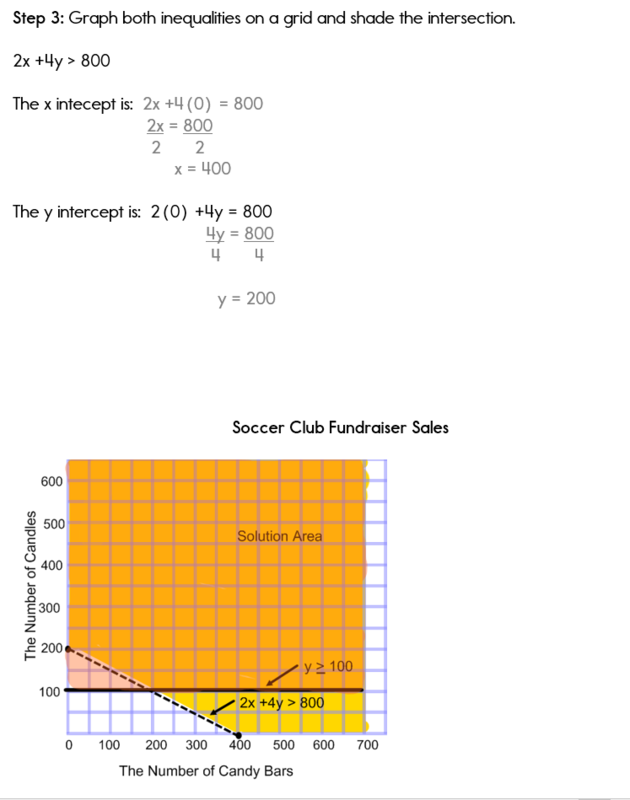 Write an inequality to express the income from the two fundraisers. The girls expect to sell at least 100 candles. Write an inequality to represent this situation. Graph both inequalities on a grid and shade the intersection. Give two possible solutions to this system. Justify your answer. 1. Jason is buying wings and hot dogs for a party. One package of wings costs $7. Hot dogs cost $4 per pound. He must spend less than $40. 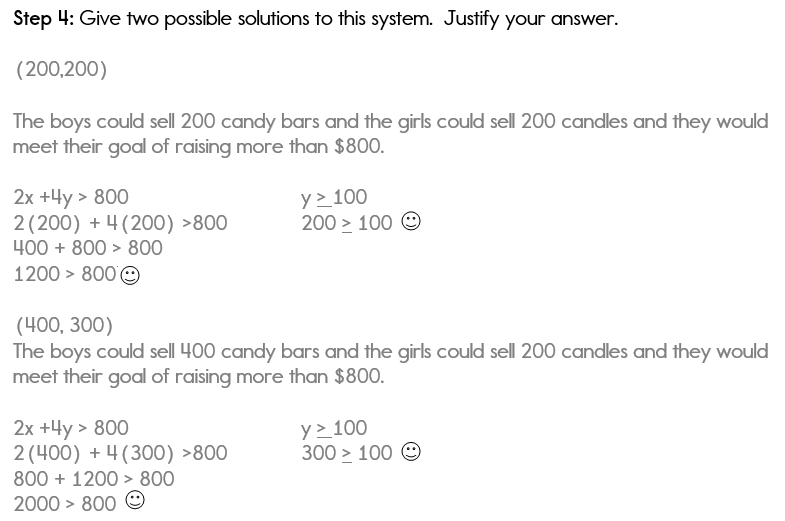 Your final answer may vary depending on which ordered pairs you choose from the solution set. Just make sure that your answer makes sense in relation to the problem. 2. The boys and girls soccer clubs are trying to raise money for new uniforms. The boys' soccer club is selling candy bars for $2 a piece and the girls' soccer club is selling candles for $4. They must raise more than $800. How did you do? 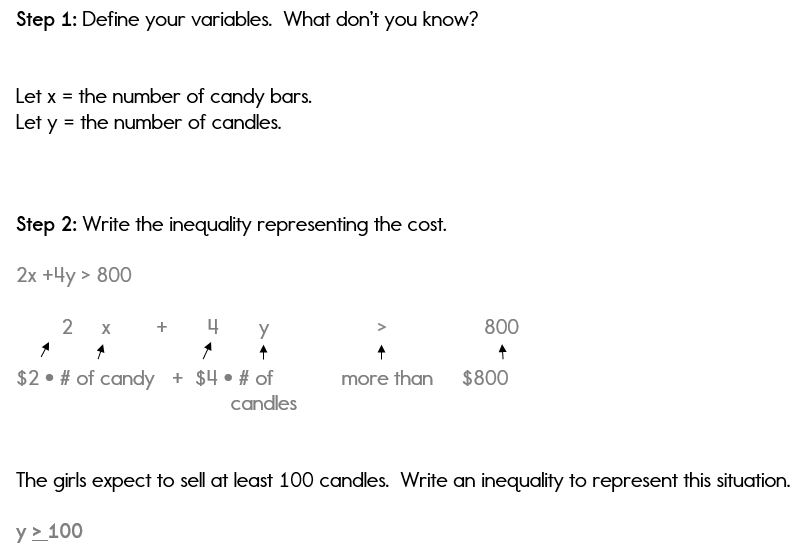 Feeling pretty good about inequalities? 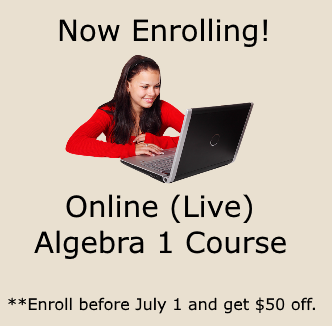 Hope so, if not go back and review all of the examples and try again.